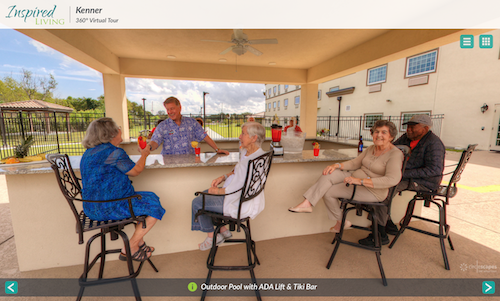 Circlescapes worked with Inspired Living to bring 13 of their senior living communities to life online in 360°. The communities are located in Florida, Texas, Georgia and Louisiana. Each community chose different locations to feature in tehir virtual tour, but all the tours have the same custom-branded interface design. Click the image below to take a look! What kind of 360° virtual campus tour is best for your school?